The United States Department of Justice (DOJ) continues its active pursuit of violations of the Foreign Corrupt Practices Act (FCPA). In the first four months of 2013, the DOJ cited four actions against individuals and corporations for violations of or assisting in the violation of the FCPA. The following two cases highlight cases against individuals, while the last two reference judgments against public companies. In the first case, Bernd Kowalewski, the former president and chief executive officer of BizJet, Jald Jensen, the former sales manager at BizJet, Peter DuBois, the former vice president of sales and marketing at BizJet, and Neal Uhl, the former vice president of finance at BizJet, paid bribes to officials employed by the Mexican Policia Federal Preventiva, the Mexican Coordinacion General de Transportes Aereos Presidenciales, the air fleet for the Gobierno del Estado de Sinaloa in Mexico, the air fleet for the Estado De Roraima in Brazil, and the Republica de Panama Autoridad Aeronautica Civil in exchange for those officials’ assistance in securing contracts for BizJet to perform maintenance, repair and overhaul services. In the second case, Frederic Pierucci, 45, who previously held the position of vice president of global sales for the Connecticut-based U.S. subsidiary of a French power company, was charged with conspiring to violate the Foreign Corrupt Practices Act (FCPA) and to launder money, as well as charges of violating the FCPA and money laundering. 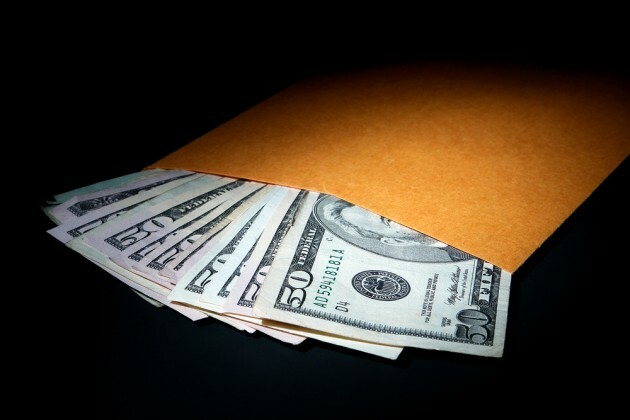 An associate, David Rothschild, 67, a former vice president of sales for the Connecticut-based U.S. subsidiary, pleaded guilty on Nov. 2, 2012, to conspiracy to violate the FCPA. Pierucci and Rothschild allegedly used outside consultants to bribe foreign officials in Indonesia in exchange for lucrative power contracts. In the two corporate violations of the FCPA, much was made of the value of self-reporting. Fines were reduced and terms were lessened in both cases. The value of a whistleblower hotline is evident in both instances.